They are new and successful. Open Cosmos, a UK space start-up formed just 18 months ago through UK company builder and early-stage investor Entrepreneur First, has developed a unique mission service allowing public and private customers to get their technology into space quickly and cost effectively. Its modular nanosatellite platform, called qbee, gives customers flexibility to launch payloads up to 20kg at a fraction of the cost and time of conventional options. The company this month became the first Space Mission Provider through European Space Agency’s (ESA) Pioneer partner programme, which aims to minimize the current space access barriers. 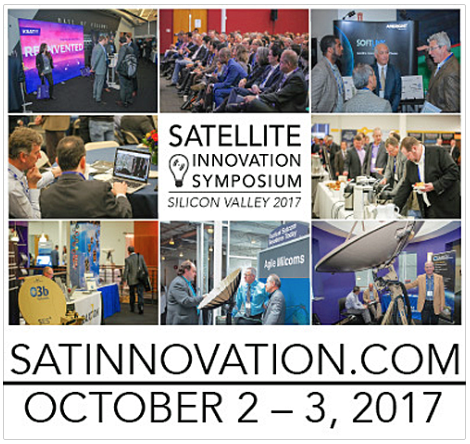 Conventional nanosatellite missions usually cost £2-5 million and take 2-4 years, and companies looking to prove that their new technologies and services work in space are obliged to search for opportunities in the market, which can cause delays. Open Cosmos offer a unique end-to-end solution, taking care of mission simulation, spacecraft design, integration, testing, launch procurement, frequency allocation, insurance and operations for customers. By owning all the technology, standardizing interfaces and employing off-the-shelf technology, it is able to simplify the mission, removing handcrafted and costly elements. Economies of scale mean that by launching many satellites at a time, Open Cosmos is able to significantly reduce the cost to customers. This in turn unlocks new data more readily, whether for monitoring Earth’s atmosphere, policing our oceans, assessing our infrastructure, or connecting people with new telecommunications services. CEO and founder, Rafel Jordà Siquier, Open Cosmos was formed with support from Entrepreneur First, the London-based company builder and early-stage investor, which assists the most ambitious international technologists to build and scale their own companies. Siquier received funding, support and access to investors, without which the company’s rapid growth and success would not have been possible. Siquier even recruited his initial team from the Entrepreneur First network. Just 18 months after it was founded, the company launched its first nanosatellite from the International Space Station, in March 2017. 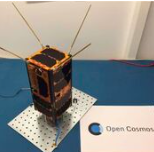 This carried a scientific payload financed by the European Commission to measure oxygen particles in low Earth orbit to better understand the atmosphere and predict the decay of satellites, helping to minimize space debris in the future. The project went from design to delivery in just four months. Siquier said they are entering a new age of space, heralded by the miniaturization and commercialization of electronics. Formerly, testing in orbit meant bespoke, bulky and costly satellite platforms. That’s no longer the case and the UK is leading the way in unlocking space for the masses. 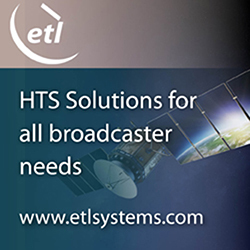 Thry're excited to be part of this wider drive and, by employing the economies of scale and by harnessing technological development, they are able to offer their customers this access to orbit for a fraction of the price previously possible. Their hope is that, by lowering the barriers to entry, qbee will accelerate the advancement of new space technologies, and even help to create new business propositions based on space data. As they launch more and more satellites, they will be able to reduce the cost even more, further democratizing the final frontier. The company is currently working on future missions with users in the telecommunications, mining and Internet of Things sectors. The platform, however, can be used for a vast array of payloads, from infrastructure monitoring, communications in remote areas, better control of piracy and precision farming, and by organisations ranging from SMEs and research institutions to space agencies in developing countries.